You wouldn't want to attempt open ocean sailing using the information presented here. But if you just need some basic charting skills for limited coastal cruising and inland sailing, you might find these simplified instructions helpful. Use this page in conjunction with Basic Navigation. To simplify things, I suggest you obtain and use a Chart Protractor. This will eliminate the need for parallel ruler, and it makes plotting a course much easier. You will also need a set of dividers. There are different types. 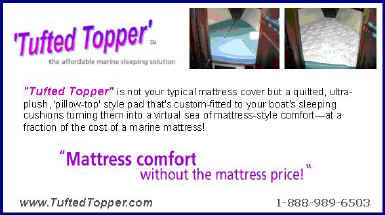 Choose the one that feels most comfortable to you. And lastly, you will need a chart for the area you wish to cruise. There are two types of charts: mercator and gnomonic. Mercator charts have parallel longitude and latitude lines, and they are used for coastal navigation. 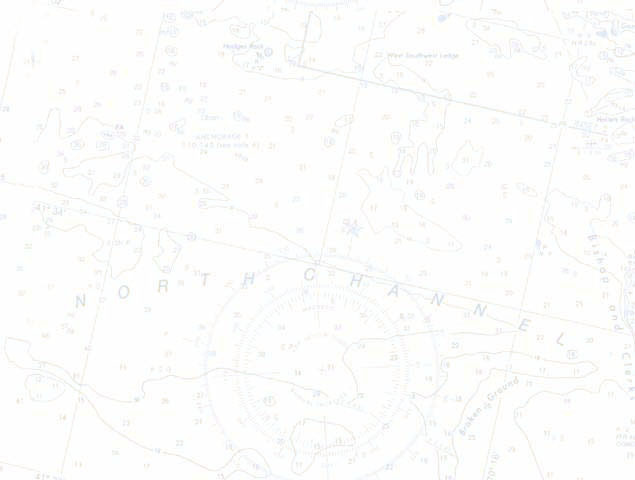 Gnomonic charts have curved longitude and latitude lines, and they are used for long range navigation. Charts depth shows mean low water (i.e. average lowest daily). All charts designate how the depths are calculated. Be aware that separate panels in a chart might be calibrated using a different standard. Always double check the depth calibration in the panel and don't assume it will be the same as the general chart. Variation is the varying difference between true north and magnetic north. It changes over time. 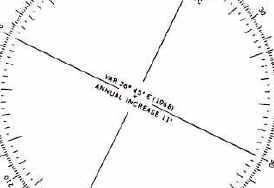 Locate the compass rose on the chart (or in the chart panel), and record the variation, year, and annual change. (e.g. variation 11 degrees 22 minutes W (1985) Annual change 7 minutes W). Subtract the variation year from the current year, and multiply the difference by the annual change. Add the result of the calculation to the chart variation to determine the compass error. 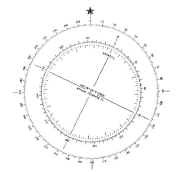 Find the east and west compass error markings around the rotating disk on the chart protractor (Figure A). Place a pencil mark on the chart protractor to identify the compass error correction you calculated (Figure B). (Be sure to pay attention to whether the correction is East or West.) This pencil line will be the line you use to read your course headings or bearings, and you won't have to address variation again during your cruise if this is the only chart you will be using. Using a pencil, draw a line on the chart for the course (or segment of a course) you wish to travel. Mark the line with two arrows (i.e. >>) as this will become your track line (i.e. the actual course over which your boat will travel). Check the water depth along the track line to determine that there is sufficient water depths for your boat. If there is insufficient depth anywhere along the line, consider altering the track line. 6. Align the Chart Protractor. Lay the chart protractor along the track line. Be sure the chart protractor directional arrow points in the direction of travel. 7. Align the Chart Protractor Disk. 8. Determine the Course Heading. Use the pencil mark on the compass error markings to read the course heading. 9. Record the Course Heading on the Chart. Record the course heading along the track line. (If in a sailboat, see #11 below.) Place an M after the course heading (e.g. C = 90 degrees M). You have recorded the magnetic (M) course-to-steer. As long as you navigate using your compass, there are no further corrections needed. (Note: This makes the assumption that your compass does not need correction for deviation--see Basic Navigation.) The track line becomes the course-to-steer line because there are no adjustments necessary due to leeway or current. 10. Determine and Record Distance. 12. Determine Wind Direction and Leeway. 13. Record Corrected Course Heading. 4. Mark the Course and Estimate Time. Check the water depths along the track line to determine that there is sufficient water depth for your boat. If there is insufficient depth anywhere along the line, consider altering the track line. 7. Draw a Current Vector. Draw a current vector in the direction of the current from the starting point on the track line. The length of the vector should match the distance an object pushed by the current would travel in one hour using minutes of latitude (e.g. a 1 knot current travels 1 nautical mile in one hour or 1 minute of latitude). Use the dividers to determine the length of the current vector based on the latitude markings on the side of the chart and mark the current vector on the chart with three arrows ( i. e. >>>). 8. Draw the Course Line. 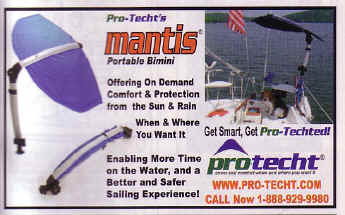 Determine your probable boat speed over that hour of travel, and set your dividers to match that speed where one knot of speed corresponds to one minute of latitude. Place one end of the dividers on the end of the current vector, and swing the dividers until the other end intersects the track line. Draw a line from the end of the current vector to where the dividers intersect the track line. This is your course-to-steer line, and it should be marked with one arrow (i.e. >). NOTE: In the illustration to the right, the course line happens to intersect the track line at the destination (by chance), but it could intersect anywhere on the track line before or beyond the destination. Never draw the course line to the destination unless it naturally intersects there. Draw the course line to the intersection point even if falls before or beyond the destination. 9. Align the Chart Protractor. Lay the chart protractor along the course line. 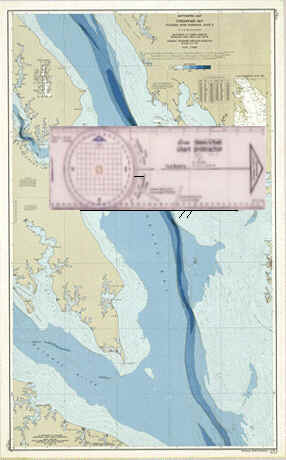 Be sure the chart protractor directional arrow points in the direction of travel. 10. Align the Chart Protractor Disk. 11. Determine the Course Heading. As you did in Step 4, measure the track line with the dividers, and use the latitude minute markings on the side of the chart to determine the distance. (Remember 1 minute latitude = 1 nautical mile). Record the distance on the track line (e.g. D = 5 n.m.). Use the distance and speed to compute your anticipated time in route. 15. Determine Wind Direction and Leeway. 16. Record Corrected Course Heading.